Rock god Chris Cornell has released his latest solo album ‘Higher Truth’. That’s all that really needs to be said. When an artist has been the soundtrack to over half your life, there is always that moment of extreme excitement when a new album drops and this is no exception in the case of Chris Cornell. Apart from that one slightly more experimental album ‘Scream’ with Timberland back in 2009, there has been a whole collection of albums to love, whether is it solo, with Soundgarden or possibly my most favourite incarnation, Audioslave. 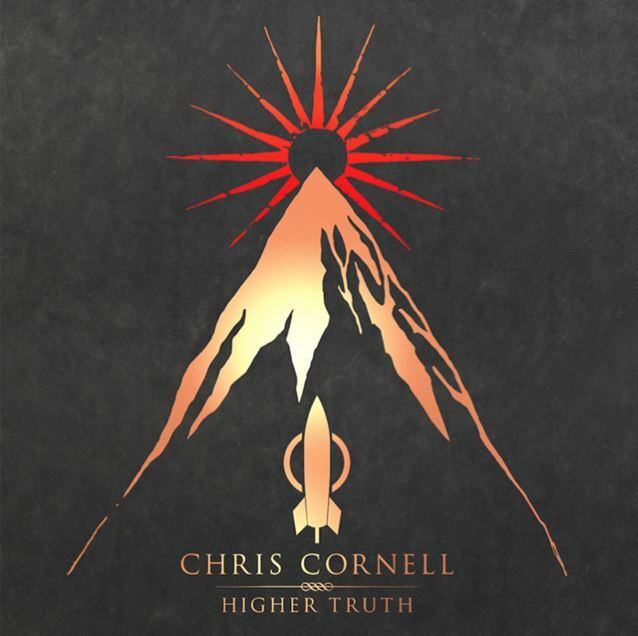 ‘Higher Truth’ is a more stripped back album where the acoustic vibe takes centre stage rather than the more well known monster riffage but every song on the album shows that Chris Cornell is one of the greatest songwriters every to grace the planet. Each track is a myriad of layers of an epic and lush soundscape, and his velvet-honed voice soars over each composition in a way that only he can. The lyrics are full of depth that cover a range of emotions and with an understanding of life that comes with maturity, but can also be universal in age. Although more delicate in sound than the band projects, this album still manages to unleash an impressive amount of power and strength throughout the 16 tracks. This latest solo album surpasses all expectations with ease and although it tends to get mentioned a lot, this really has to be the best album of 2015. It is one of those rare albums that suits every mood and for fans of Chris Cornell this is an album that can do no wrong, but at the same time is going to bring his songwriting talents to a wider audience. We could do a track by track in depth review, but this is one of those outstanding and stunning albums that just needs to be listened to, not read about. If you buy one definitive album this year, then it has to ‘Higher Truth’. ‘Higher Truth’ is available from iTunes, Amazon and all major retailers. The album is also available to stream on Spotify. A vinyl edition of the album is expected to be released November 6.